Whether you’ve a trip to the park or beach planned or simply want a nifty way to cook outside whenever you want, we’ve found not only the best barbeques but also the best accessories to make your dining al fresco a success. 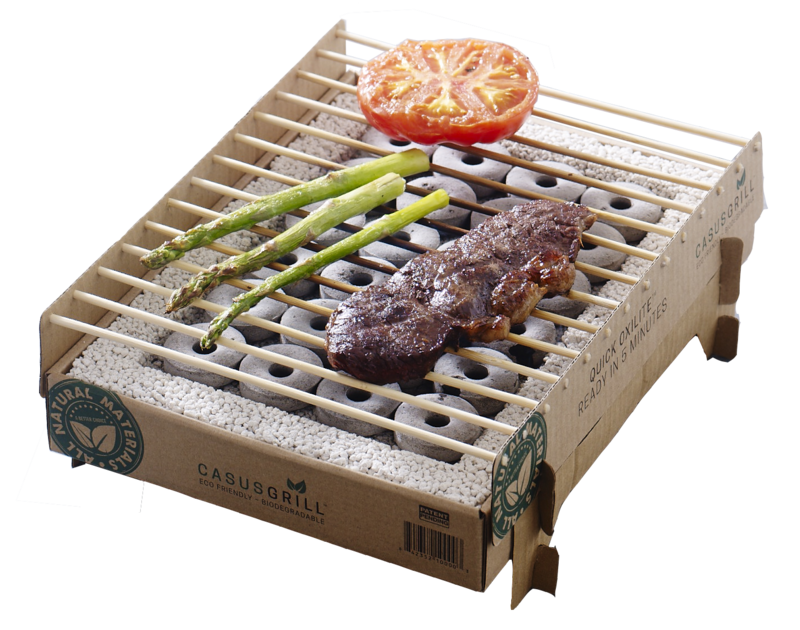 We absolutely loved this 100% natural, sustainable and totally disposable instant grill. There is a little bit of assembly required but once complete you simply light the Quick Oxilite™ bamboo charcoal and can start cooking in five minutes. The heat lasts up to an hour and the bamboo grill rack is a good height above the no flame, low smoke charcoal, so there’s plenty of time to cook sausages and chicken thoroughly and give a crispy finish. The lava stone surround means it can be held when lit and easily disposed in the bin once cool or burned in a fire afterwards. 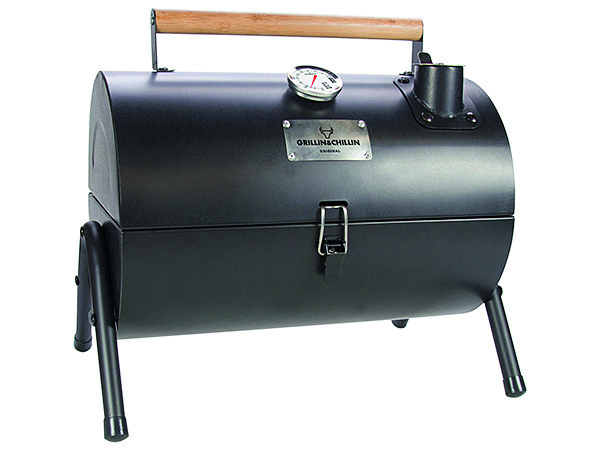 Easily assembled, this compact oil drum shaped BBQ really punches above its weight. 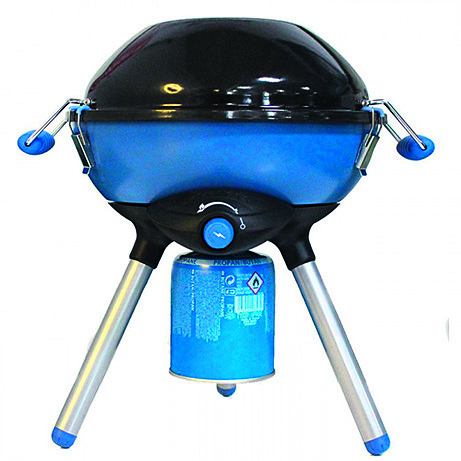 Extremely sturdy and stable, the grill is the ideal height above charcoal and the closing lid helps control smoke on windy days. The drum has a separate smaller area to add wood chips to one side so you can smoke food by cooking with the lid down and the vents adjusted. 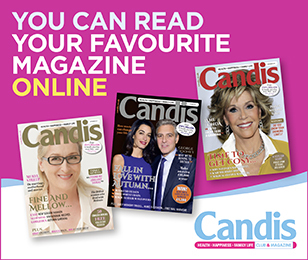 Excellent quality, light to carry and good looking too – all testers loved it. Takes a bit of assembly and you need to buy your Campingaz canister separately (about £7.50) but once put together it’s a good looking, sturdy piece of kit. We liked that you can cook in different ways. You use the grill for standard barbequing, or attach different bits to create a stove for pan cooking, a plancha for pancakes or delicate items like scallops, prawns or asparagus and can even use the lid as a wok to stir fry veggies after the meat is done. Good sized BBQ with enough room to feed four. Gold stars for the grease collector which makes cleaning easy, the easy on-off ignition and the sturdy carry bag it comes with. 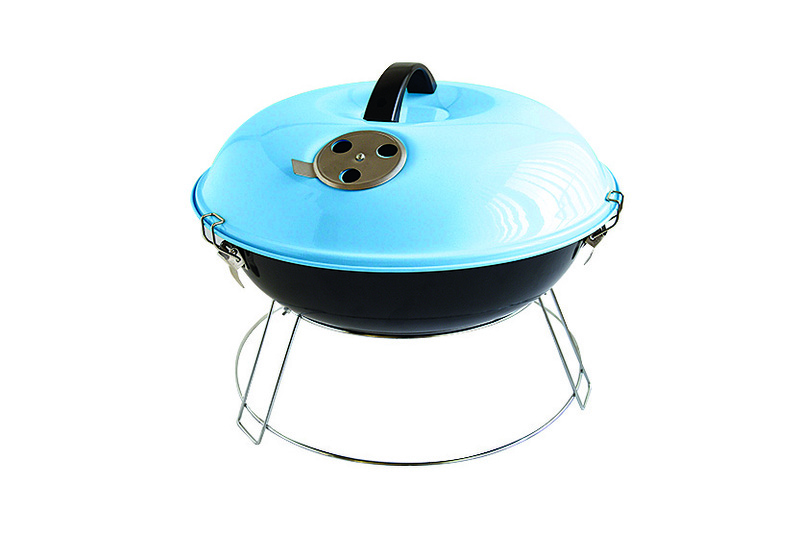 This no-frills BBQ is lightweight, extremely portable and a cinch to set up making it a great beach or park accessory. Cheap and cheerful it won’t last forever but we predict you’ll get at least a full summer’s worth of cooking out of it. Cooking area is just under 14in so can cook for four people easily. Plus, it’s light enough for an older child to carry. If charcoal could be beautiful this is it! Lovely, glossy black chunks that burn cleanly and evenly this is gourmet fuel for your BBQ. 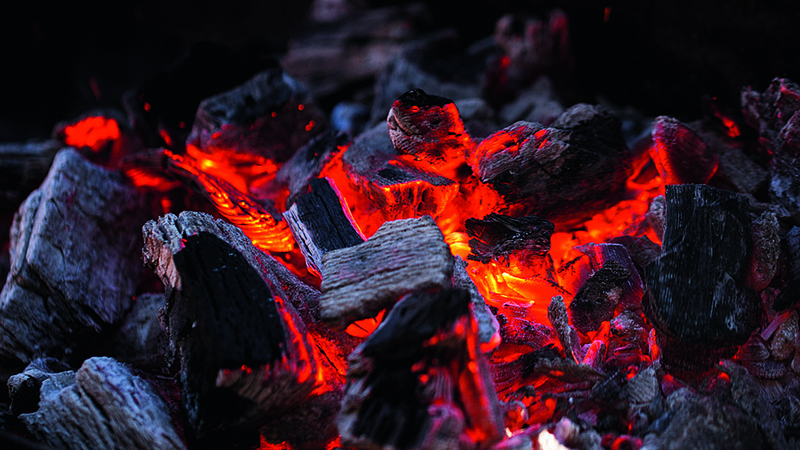 Made with British wood from Forestry Commission approved woodland and without any added chemicals it lights quickly and has around 50% less smoke than other charcoal we tested. Different woods impart different flavours to foods – applewood and beech were our favourites. These sturdy, quality made utensils are well-balanced in the hand and well-designed to easily manoeuver BBQ food around the grill without breaking or dropping items or burning your skin. The selection includes a fork, flipping spatula, heat resistant silicone brush for basting and our favourite – ergonomically designed tongs so you don’t chase sausages around the grill and meat doesn’t slip out of the grip. 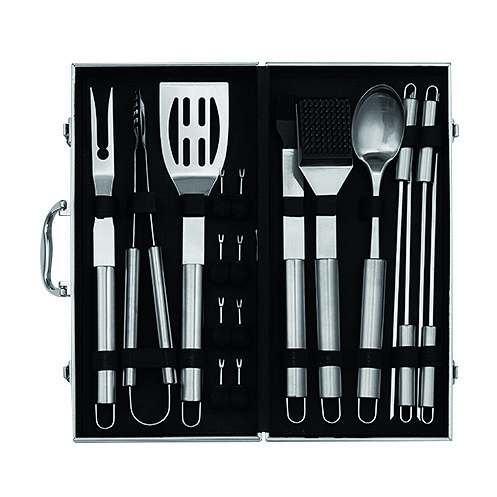 The smart silver case keeps everything stored in one place ready for the next BBQ outing.